One of the many great things that makes Oriental so special is that now, during the late summer and early fall, we have a truly world-class fishery whose season peaks this time of year. 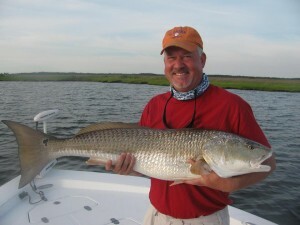 Whether you call them Old Drum, like a Pamlico county native, or bull reds, NOW is the time to catch them. When the day is early, and the water still, anglers who target the reds will see massive schools of menhaden and mullet rippling the surface. Periodically, that peaceful ripple is suddenly blasted by a cannonball of a fish, and you will see the massive head of an old drum inhaling breakfast. When hooked, either by bait soaked on the bottom, by ripping a large, deep-diving crankbait, or by using a large popping cork, these brutes will put up an incredible fight!! 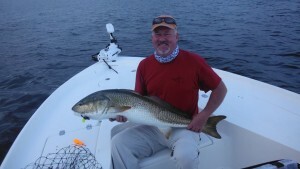 Our local captains are experts at tempting these fish to bite, even in less than ideal conditions. We would love to host you here at River Neuse Suites and put you in touch with one of our local experts. If you want an adventure of a lifetime, get in touch with Captains Gary Dubiel, Dave Stewart, Ashley King, Joe Ward, Dave Eakins, or Mitch Blake. I have been on the boat with all of them, and I know they will treat you to a fantastic day on the water.